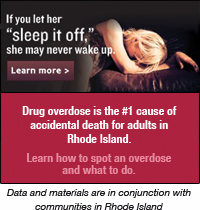 Overdose deaths are on the rise throughout the nation. To learn more, please visit our Pain Pills/Opioids FAQ. The following guidelines provide a basic framework for approaching pain management, and treatment decision making, in the primary care setting. Treatment plans allow prescribers and patients to discuss expectations regarding the use of pain medications. A policy of starting a pain contract with any patient prescribed chronic opioids eliminates “profiling” patients who are assumed to be more or less likely to abuse their medications. Brief Pain Inventory© (BPI) : The BPI is one of the most widely used clinical pain assessment tools and can be administered via self report or interview. Assessment areas include: severity of pain, impact of pain on daily function, location of pain, pain medications and amount of pain relief in the past 24 hours.